Securing a Brighter Future for our Children. We exist to promote a sense of physical and emotional well - being, through a safe and therapeutic environment, for children who are at risk because of neglect, abuse and orphan hood. 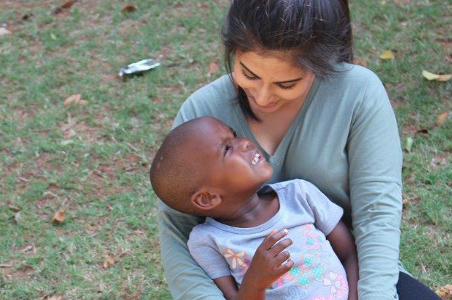 The Durban Child and Youth Care Centre is a Non-Government Organisation. It was established in 1905 by a group of concerned men and women, who saw the need to provide substitute care to orphans, destitute children and children with parents who were unable to care for them. In the past, the organisation provided custodial care to these children. When this method of child care became outdated the organisation was challenged to adjust its programs in order to meet the requirements of the transformation welfare policy in South Africa. This has ensured that the children, youth and their families referred to our programme receive an effective, efficient and relevant service. We recognise the importance of early intervention, preventative work with children, youth and families, as well as family reunification. Programs with this focus ensure that families do not have to spend long periods in the welfare system, or in some cases do not have to enter the system at all. In order to meet this objective we have developed new, innovative programmes, which provide relevant services to the communities that we serve. The children who access our programs come from all over Kwa-Zulu Natal. High levels of unemployment, poverty, crime, domestic violence, substance abuse, sexual abuse and HIV/AIDS are experienced in our province which results in many children seeking access to the empowering programs our organisation offers. If you wish to make a donation towards our home and children, please follow the link below. All donations are greatly appreciated. Sign up to our quarterly newsletter to receive updates and stories from our home.